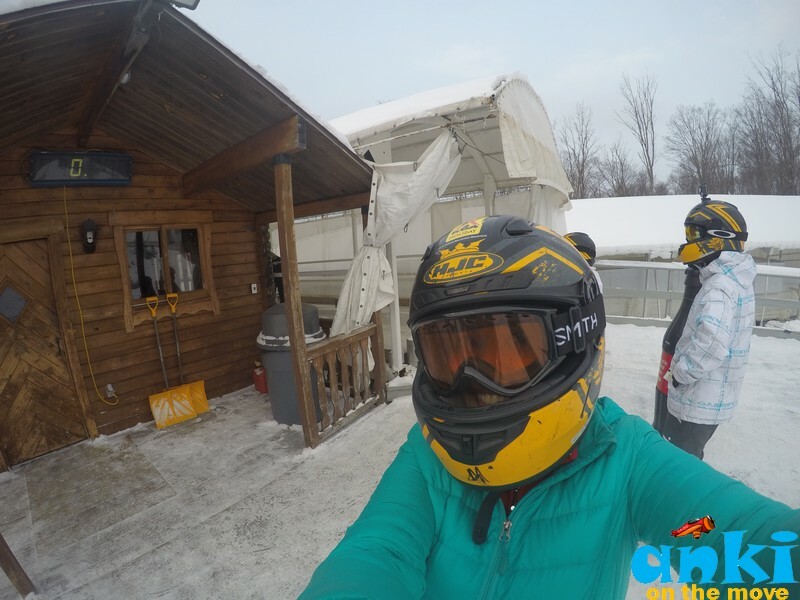 Anki On The Move: 10 Reasons Olympic Fans Would Love Lake Placid! 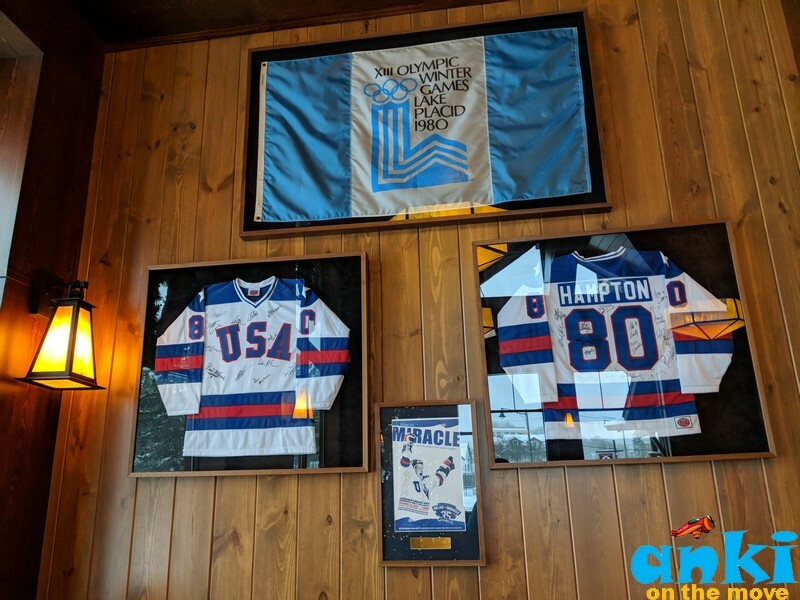 10 Reasons Olympic Fans Would Love Lake Placid! 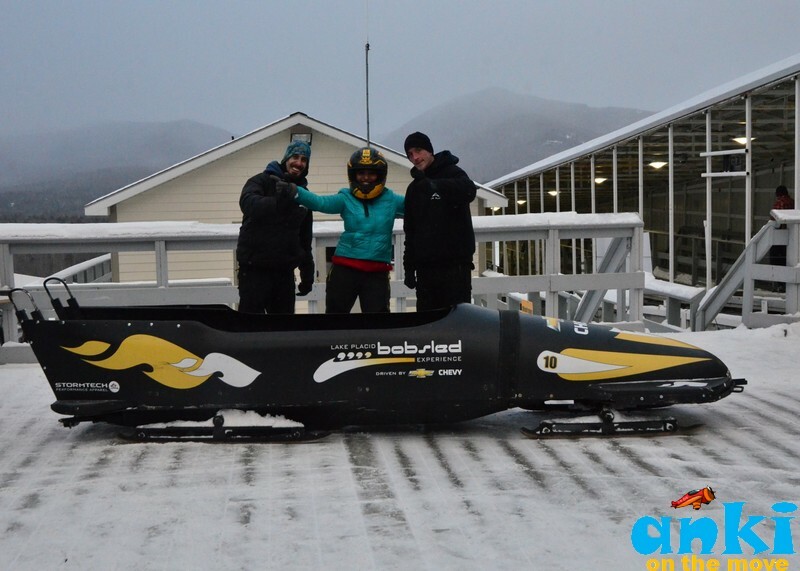 Bobsledding at Olympic Sports Complex, Lake Placid! 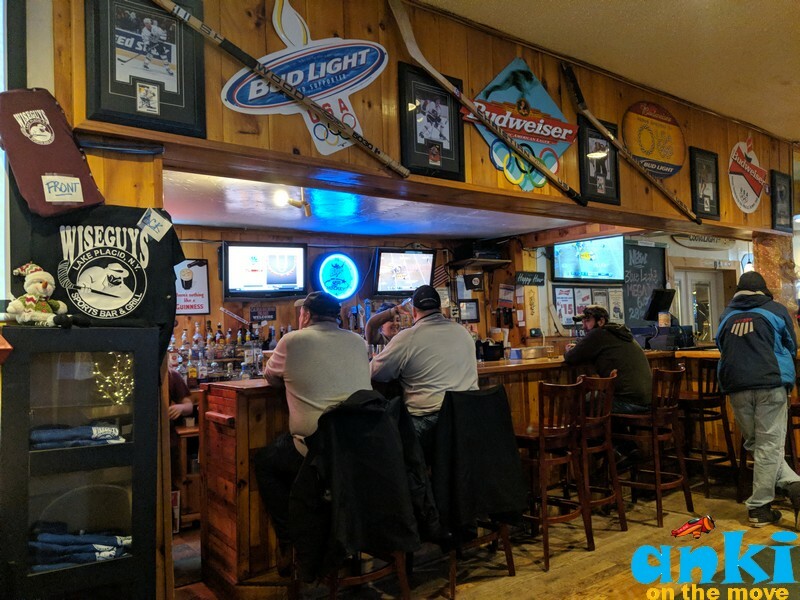 Lake Placid is 5 hours drive from New York City. Ever wondered what happens to Olympic Sites after the games are over? 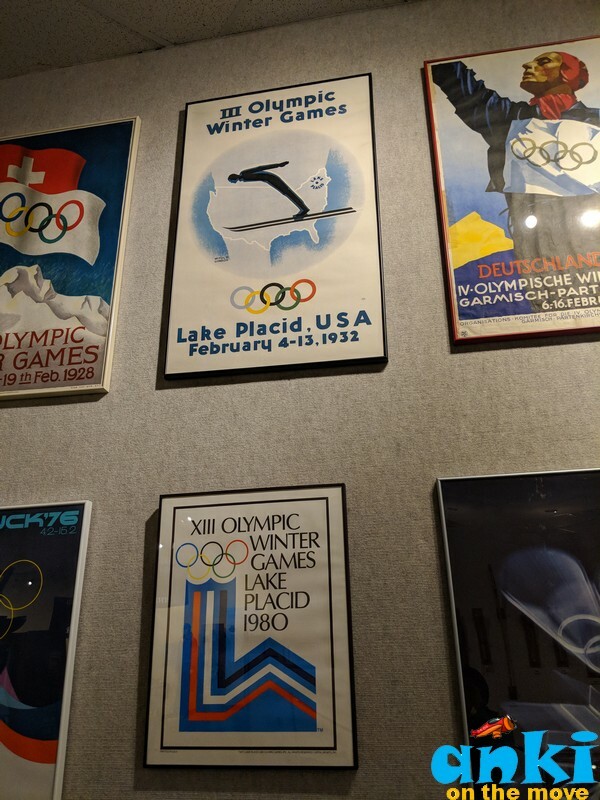 Lake Placid, a small mountain town in the Adirondacks hosted the Olympics twice in 1932 and in 1980 . A visit to this place is nothing short of a celebration of euphoria the people from the region proudly contain within and hence welcome you with open arms to bring forward that legacy of sports you may want to know and learn from. 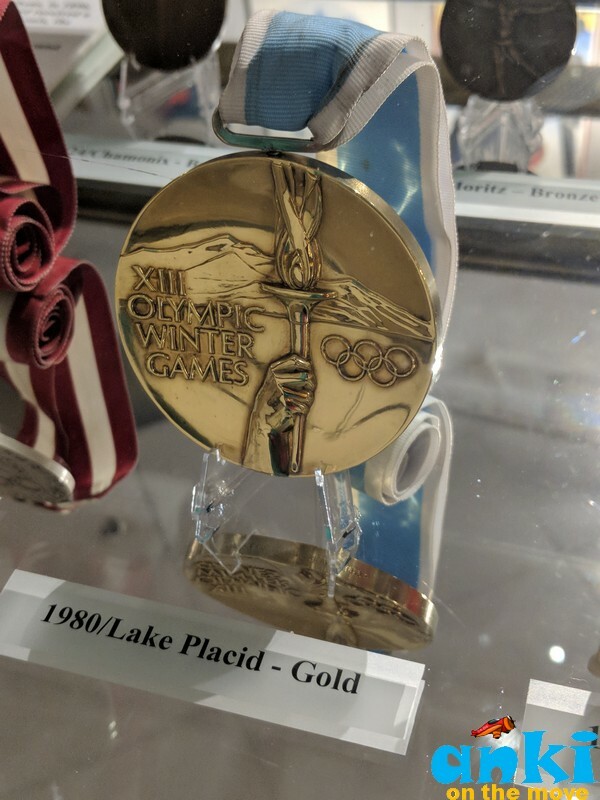 It is often said that Lake Placid is where “Miracles are made”. Miracle on Ice refers to a medal round game during the men’s ice hockey tournament played between US and 6 times gold medal winner Soviet Union and this is where US won. The victory became one of the most iconic moments of the Games and in U.S. sports. This is where 16-year old figure skater Sonja Henie won an Olympic Gold Medal in 1932 and local Olympian Jack Shea and Irving Jaffee won two Gold Medals in Speed Skating. I can imagine the whole city being involved like a family in the Winter Olympics when it happened. It actually takes more than a village to organize one. 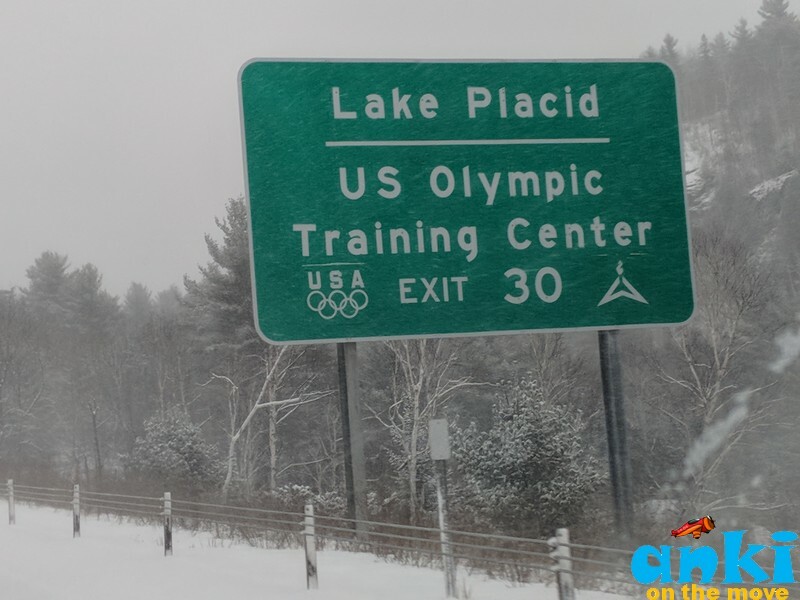 When Olympic games happened in Lake Placid in 1980 , a village of 3000 residents , they knew they needed additional help. There were 6700 volunteers at the event. 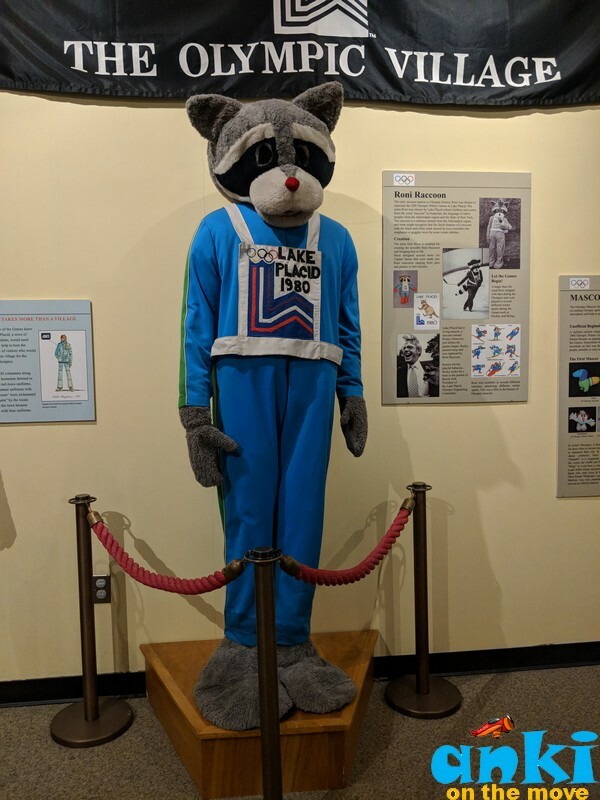 Roni Raccoon was a mascot at Lake Placid Winter Olympics in the 1980. 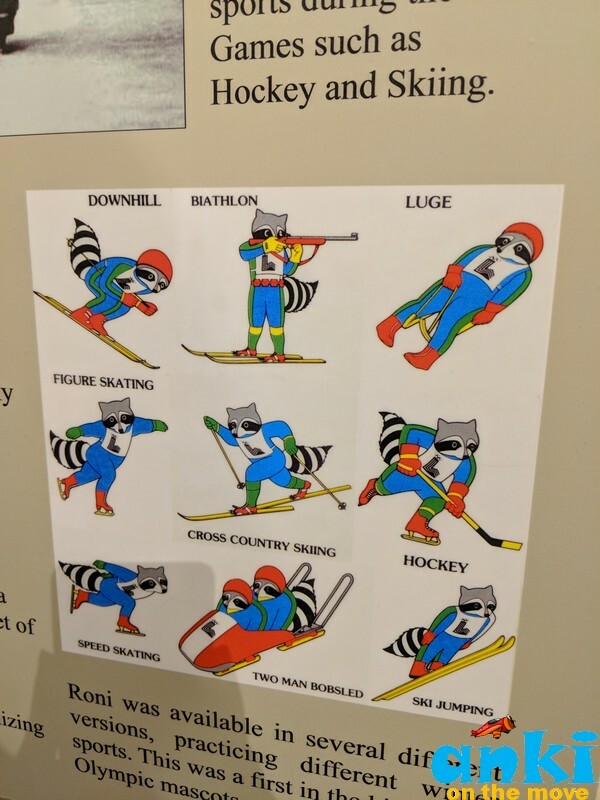 The name Roni, chosen by Lake Placid School Children, comes from the word raccoon in Iroquoian, the language of the native people from the region. The raccoon is a familiar animal from the mountainous region of the Adirondacks. 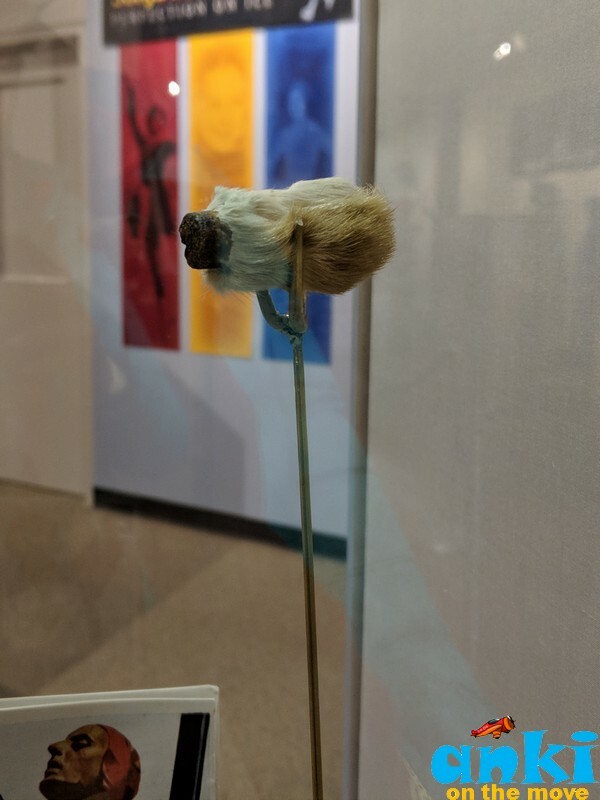 After visiting the US, Sonja heard about the American custom of carrying a rabbit's foot for good luck and began carrying her oneself. That was her lucky charm to continue her winning streak in Figure Skating. People love the way the cold keeps everything frozen in the winters and they have an attitude that “Lets have fun in all seasons!”. The region has sent athletes to every Winter Olympics since they began and the spirit of Olympics follows everywhere in the city. Whether it's a resort that you stay or shops that you enter or restaurants that you plan to binge in, you would see a hint of Olympics in the form of flags, pictures, sports equipments, old newspapers clippings everywhere. 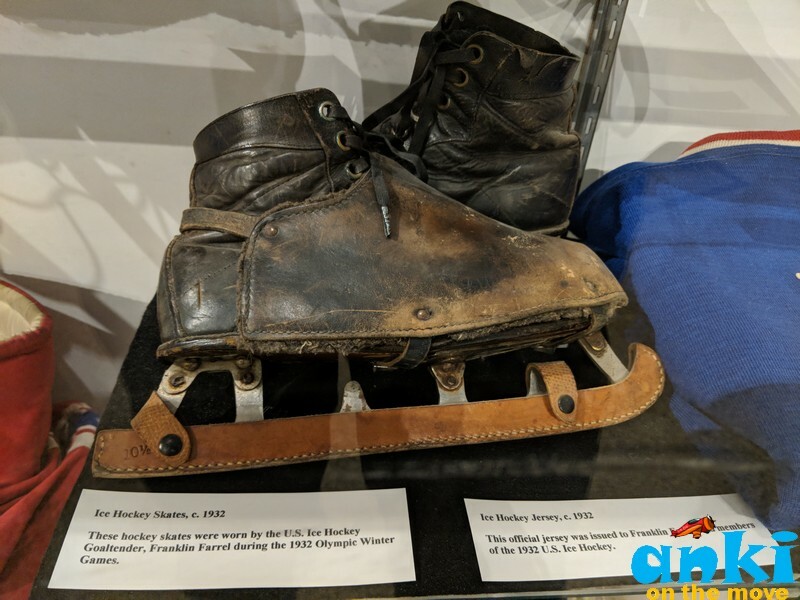 Did you know how Ice Skating was discovered? Dutch were the earliest pioneer of Skating. Villagers used the canals as a way to keep in touch during winters. Skaters with messages could go faster on ice than traveling by horse or by foot. 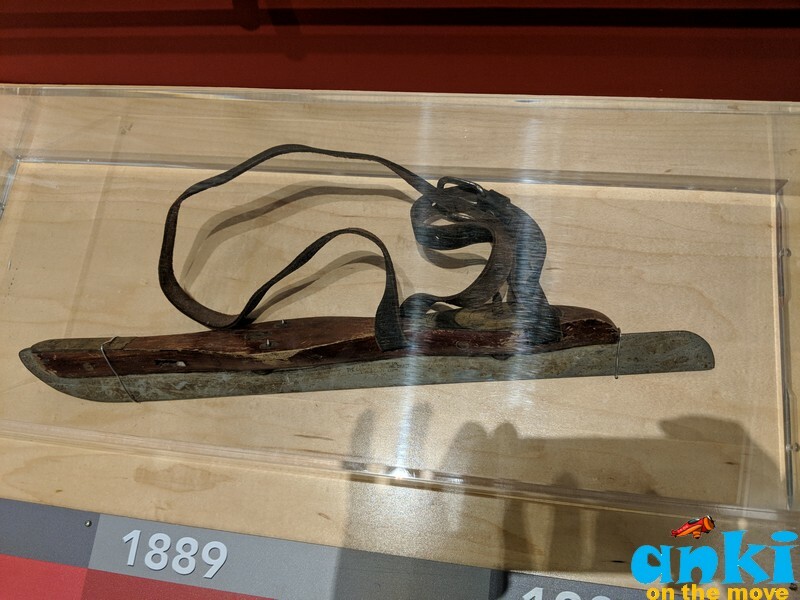 This skate is from 1889 from when the Netherlands hosted the first speed skating World Championship. Did you know where did the Olympic Games start? The first recorded Olympic Games was held in Olympia , Greece in 776 BC. The games coincided with religious festival to honor Zeus, King of the Gods. 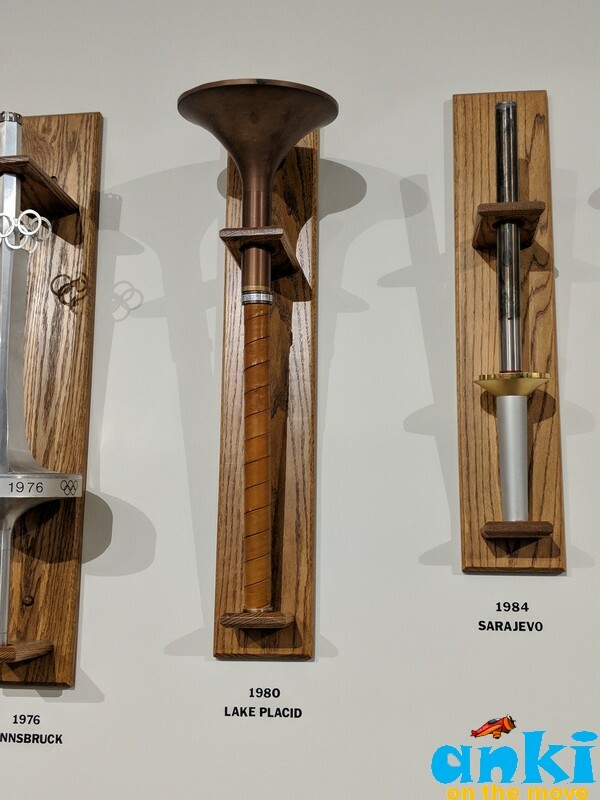 Did you know the story behind Olympic Torch Relay? In ancient Greece, fire was considered to be a divine element and the Greeks maintained fire in front of their temples. At the sanctuary of Olympia where the ancient games took place, fire was lit with sun rays to enjoy its purity. Today, the flame symbolizes Olympic Spirit and is guaranteed pure by the way it is lit by Sun Rays. 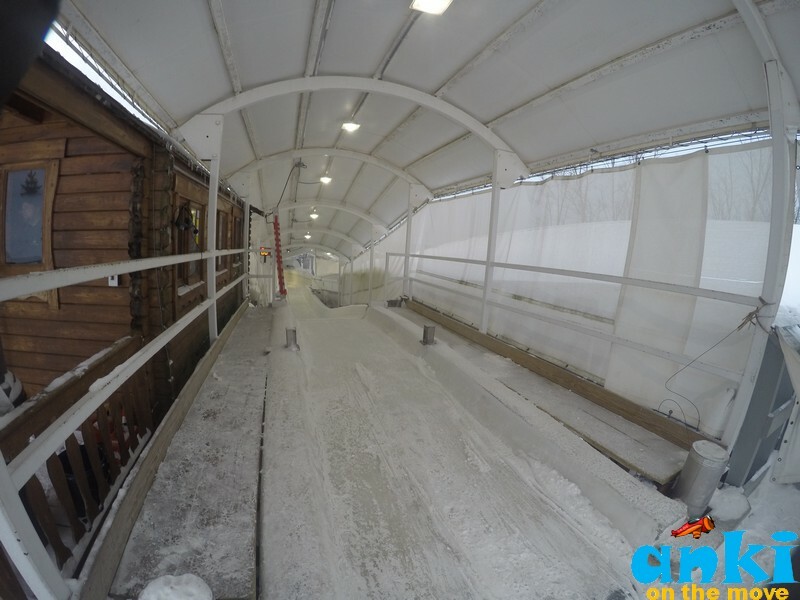 This 2018, the Winter Olympics is scheduled to take place at Pyeongchang County, South Korea from the 9-25th Feb. And if going to South Korea during Winter Olympics seems like a far fetched dream for you, the local events at Lake Placid will be exciting enough to fill in that gap. The Olympic Museum isn’t those gigantic museums that will take hours and hours of your time but a very compact and informative museum that tells you the story of Olympics with exhibits, artifacts, videos of previous Winter Olympics, athletes uniform, sports equipments, quotes from the athletes and their struggles and stories and the changes Olympics has seen over time. I’ll share some more Cool Facts about Olympics in the next post. Museum is open year around from 10-5. Closed on Christmas and Thanksgiving. 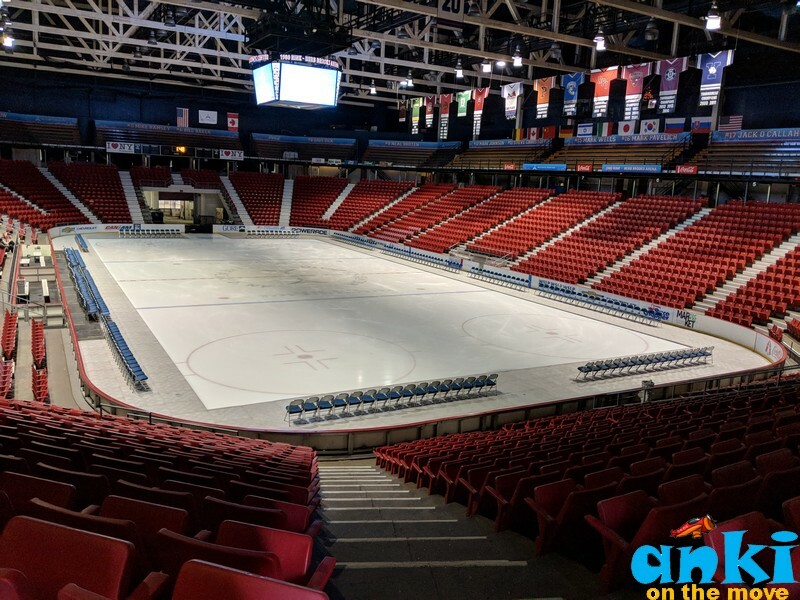 The Herb Brooks Arena, one of the three ice surfaces at the Olympic Center, is a 7700 seated multi-purpose arena in Lake Placid. Herb Brooks Arena hosted various events during 1980 Winter Olympics, most famously the ice hockey tournament ; figure skating event and the closing ceremony. 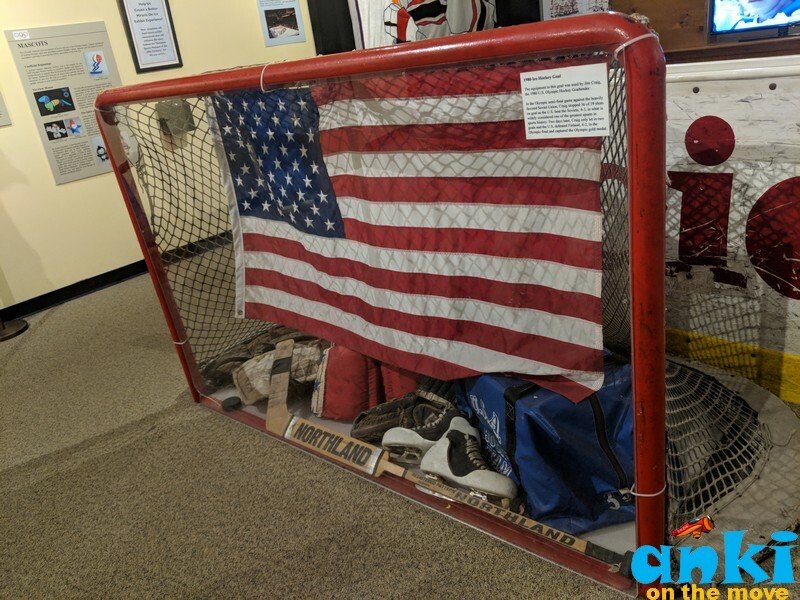 You never know when a legend like Scott Hamilton (Olympic Gold Medalist) or Jim Craig(The goaltender from Miracle on ice team) might pop in for a day. Ice shows, competitions or championships are held very frequently here. You can also take an Olympic Center guided tour (available at 10:00,11:30 and 1:00pm) for $10. 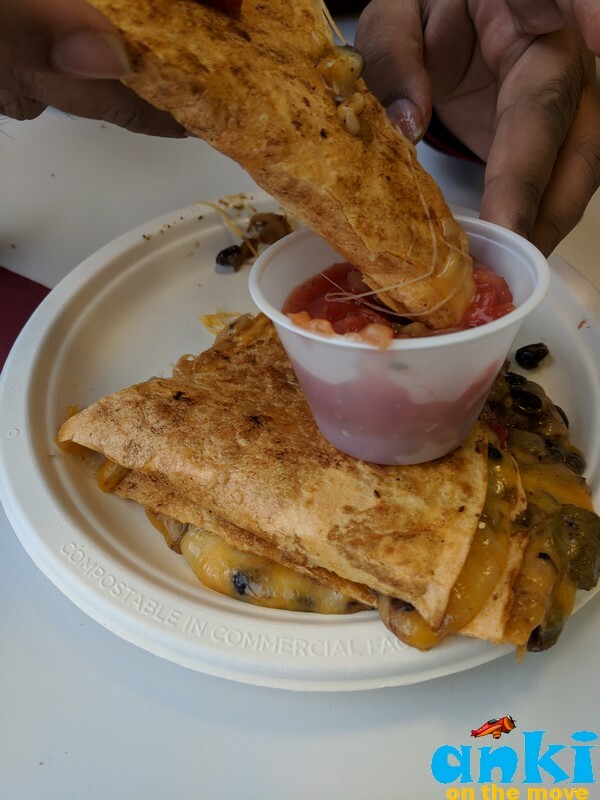 I found the food at the Olympic center also to be great so happily order that Quesadilla next to the Herb Brooks Arena, you wouldn’t be disappointed. 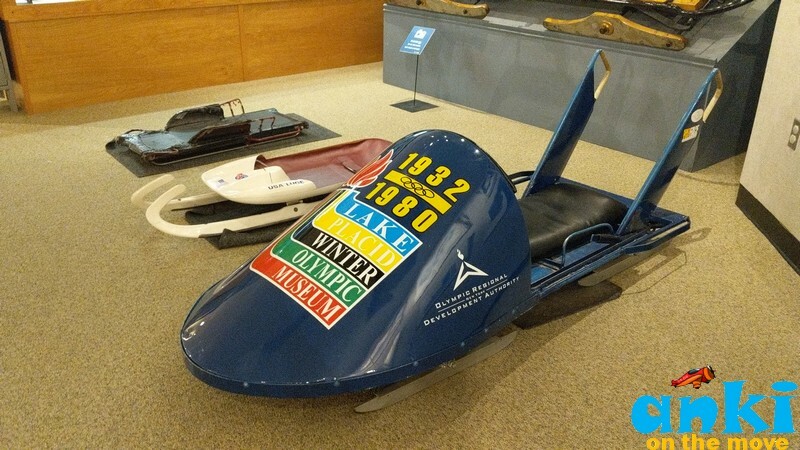 One of the original sports of the Olympic Winter Games since 1924, Bobsleigh (or Bobsled in USA) was born in Switzerland in 1897, when the steering mechanism was attached to the Toboggan sled. Today, the sport is known for explosive running push at the start followed by acrobat on the sled before settling into a seating position. The team includes the pilot and the brakeman and two extra people to increase the speed. Sleds today reach 90 mph before the finish line. If you ever want to feel what it feels like to be a comet, the Olympic Sports Complex is a great place to start. The track is concrete and sits on a refrigeration system. Workers pour and spray water on the concrete, creating a layer of ice average 1.5 to 2 inches thick. It starts and finishes within 55 seconds and zoom it goes. 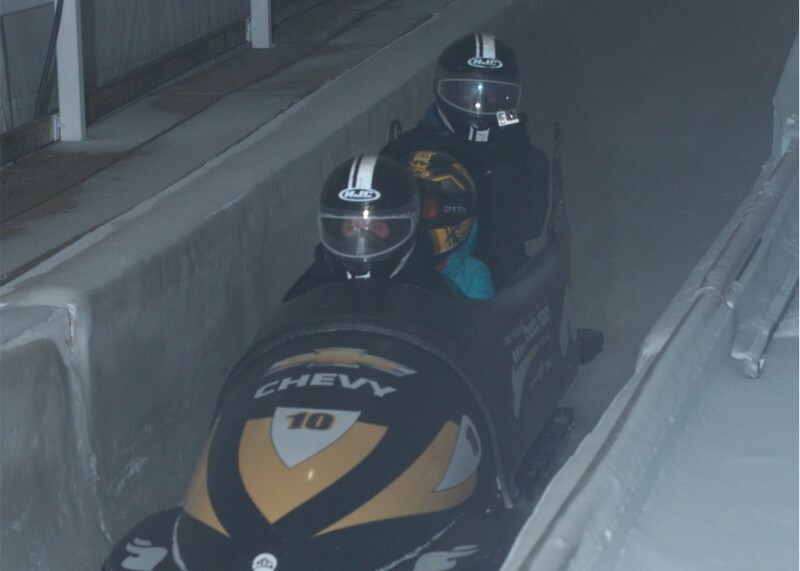 So hop aboard the bobsled and ride on the famous 1980 Olympic track with a professional driver and brakeman. 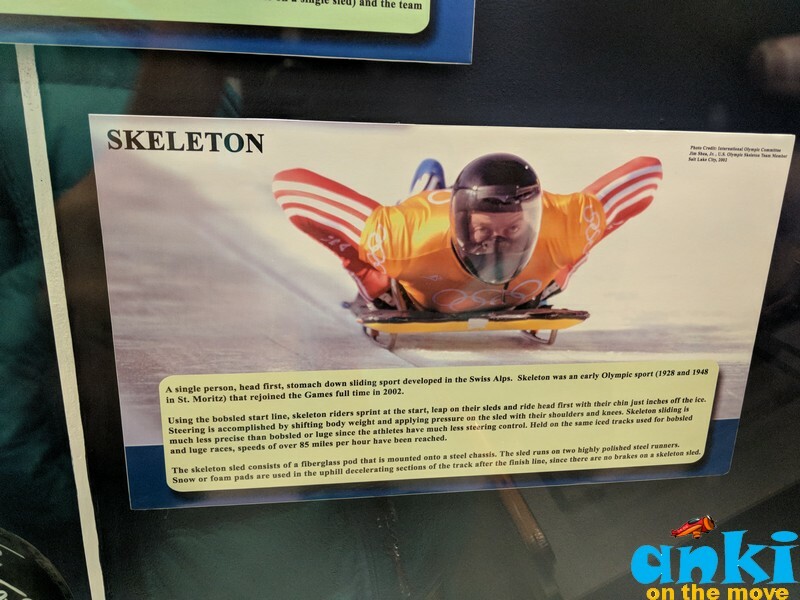 Skeleton is a single person , head first, stomach down sliding sport developed to a Swiss Alps. Skeleton was an early Olympic Sport (1928 and 1948 in St. Moritz) that rejoined the games full time in 2002. 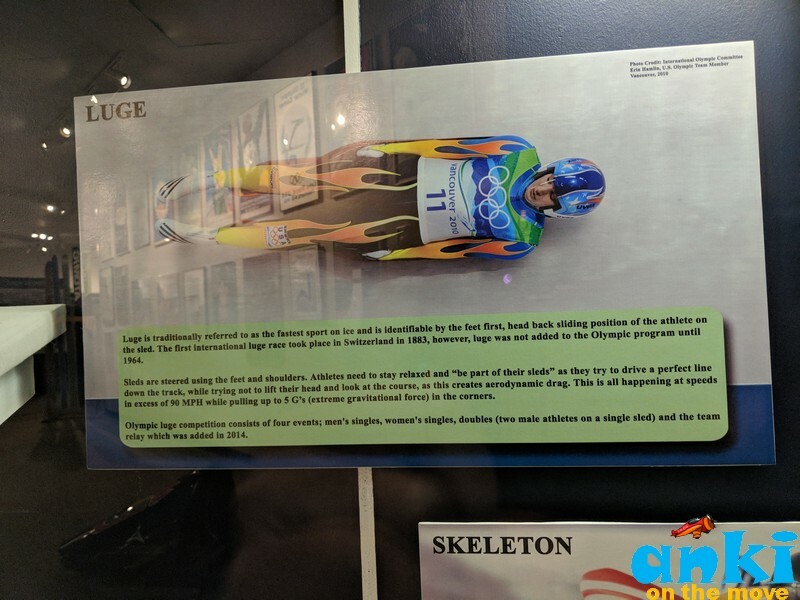 Luge is traditionally referred to the fastest sport on ice and is identified by feet first, head back sliding position of the athlete. 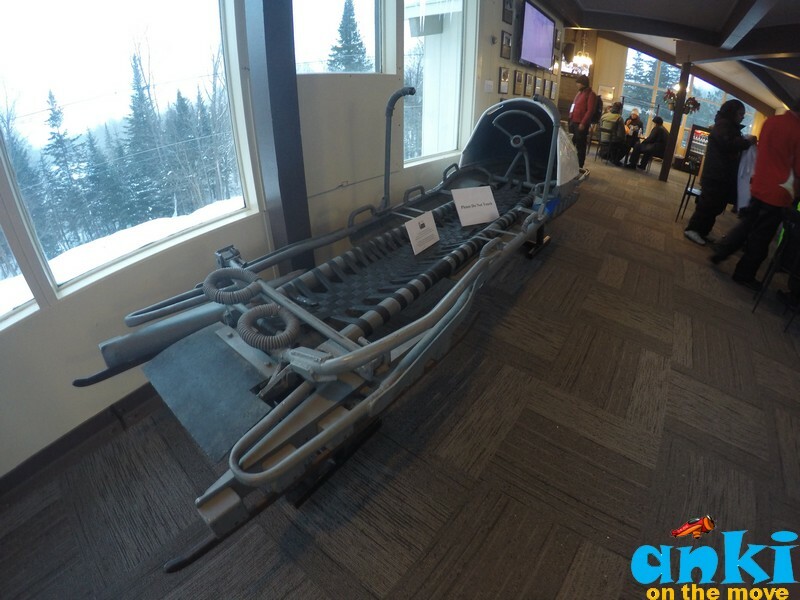 Go it alone with the Lake Placid Skeleton Experience and slide into Olympic tradition or be in awe at the silent speed of a luge athlete racing by at over 90 miles per hour! I liked the fact that this 8-person Gondola is a smooth ride. It takes 15 minutes to go from the Base to the Little Whiteface Summit. 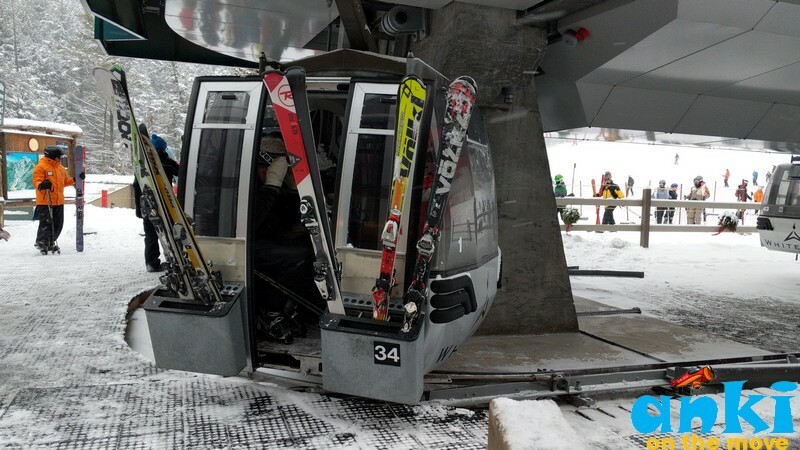 In Winter months, the Gondola ride takes skiers to the summit. 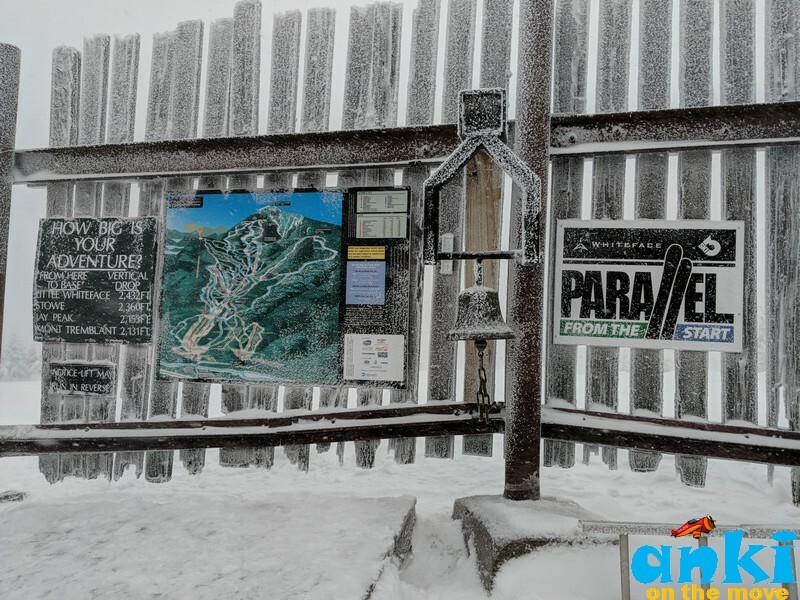 “Today is not a good day, said one of the skiers, otherwise the view from the summit is amazing!” . Although I missed the birds eye of the wilderness of Adirondacks from the observation deck, throughout my journey up the gondola the view of mountain ranges and forests were spectacular. During the holidays of last year, they also had New Year's Ski Jump with Fireworks (29th Dec 2017). 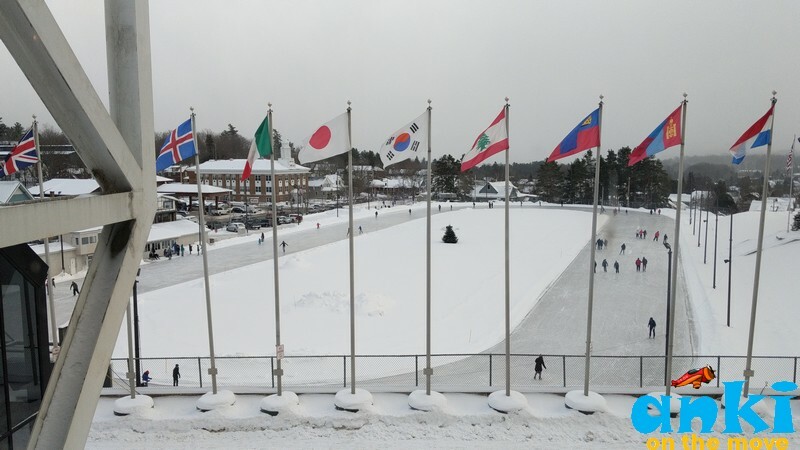 Two rinks (one Indoor Public Skating and one outdoor Skating on the Oval) both with a direct link to Olympic history is open for public. In the center of the Speed Skating Oval , one of the few outdoor rinks of its kind left in the country, get cozy and warm up around the fire pit. You can bring your own skate or rent it there. U.S Athletes gather at this facility to prepare for international competitions and games in both summer and winter. A 15-minute guided tour includes video highlights of the U.S Olympic Committee. Thanks to Regional Office of Sustainable Tourism, Lake Placid for supporting my visit. An interesting article that i want to share with communities. Hey Anki Great Post too interesting, Motivational images. Great Collection of images. I likes your Post Very Much. 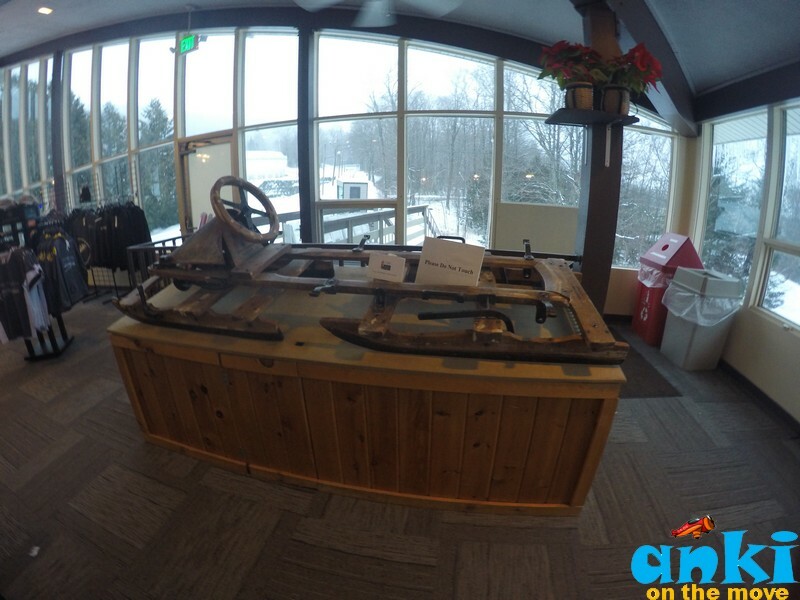 The Journey to Lake Placid in the Adirondacks!